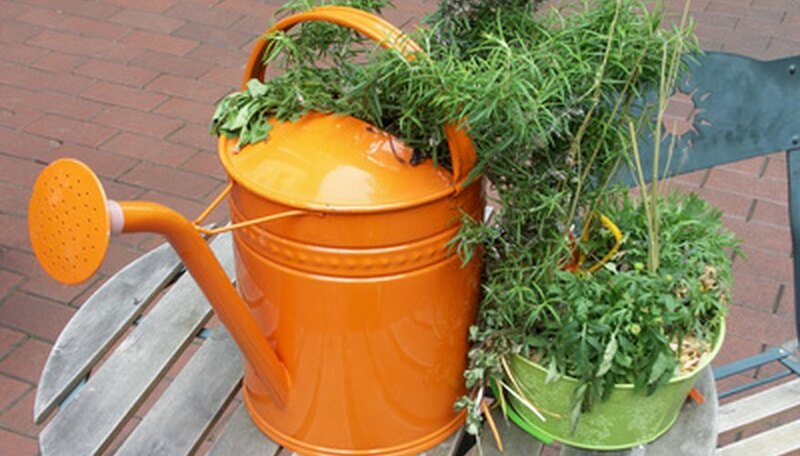 It is relatively easy to grow herbs in a pot. Herbs that are suitable are medium height, grow in an upright manner, keep a compact shape or creep along the ground. Herbs that have deep roots or tall stems are not appropriate for growing in pots. 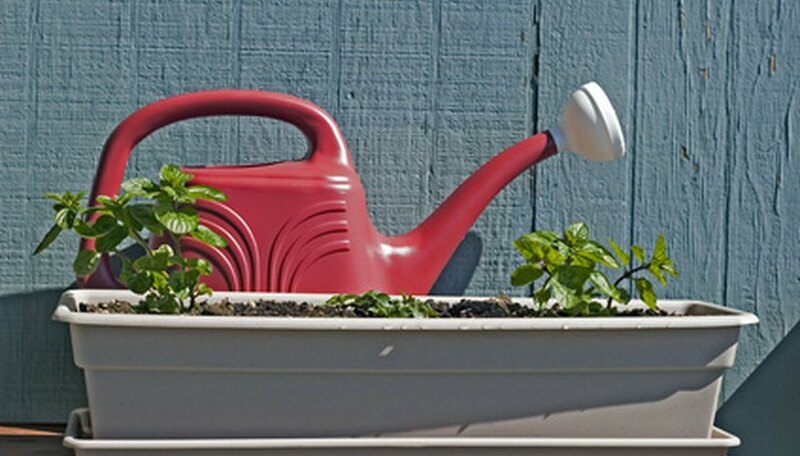 Growing herbs in pots is a perfect solution to having limited space or not having a yard. Pots do not take much space and you can put them out on a patio or balcony. Pots should be no less than 12 inches in diameter but make sure they are larger than that if you are planting a variety of herbs in one pot. 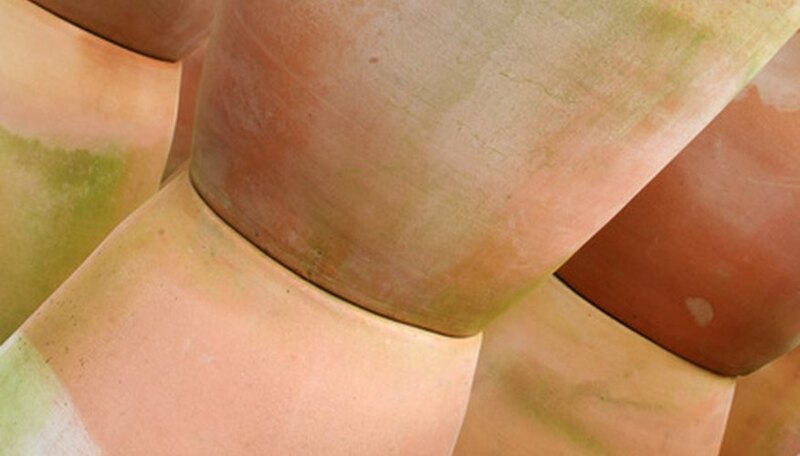 Terra cotta or clay pots are excellent but they need to be watered every day because moisture evaporates from them easily. Plastic pots will make a good home for herbs and the moisture does not disperse as fast. Half a barrel is also a great choice as long as there is proper drainage. Place a small rock over the drain hole in the pot. This will keep in place the 2 to 3 inches of gravel or aquarium gravel put in the bottom of the pot to ensure good drainage. The bigger the pot the more gravel you will have to add. Place enough sterile potting soil to fill the pot halfway. If it is a very large or tall pot put some packing peanuts in first and that will make it much easier to move as it will not weigh as much. 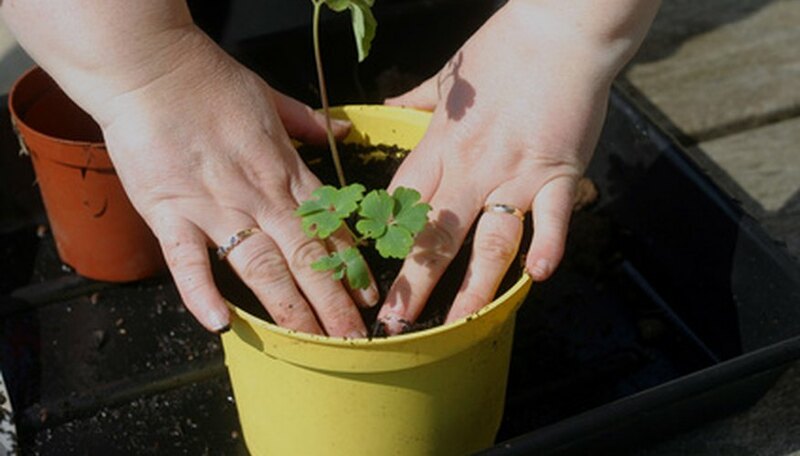 Remove the herb plants from their temporary containers and pull apart the root ball so the roots are loose. Place them in the pot and fill in around them with more soil up to about 1/2 to 1 inch of the bottom of the stem. Make sure the soil comes up to about 2 inches below the lip of the pot. Water the pot until water runs out of the drain hole and set in a sunny area where the pot will get five to seven hours of sun. Check every day to see if the soil is dry by putting your finger down about 1 inch into the soil. If the soil feels dry the pots need to be watered. When the weather is hot pots will have to be watered every day. Place a layer of mulch at the top of the pot to retain moisture longer. Fertilize with a liquid fertilizer mixed with water about a week after planting the pots. Wait about four to five weeks later to fertilize per package instructions again. Herbs in the ground generally do not need to be fertilized but if they are in pots they do not get the nutrients from local soil so they may need a shot of fertilizer. Pinch off flowers if your your herbs produce them. This will ensure the plants get bushy and produce more leaves. Whenever you need an herb go out and snip some off with scissors. They will be ready to harvest just two weeks from the time they are planted. Harvest as much of your herbs as you can near the end of August and beginning of September. Cut them down to about half their size and freeze or dry them. Annual herbs will die with the cold but perennial herbs will come back in the spring. Be sure to put pots in a protected location like the garage or on a porch for the winter. 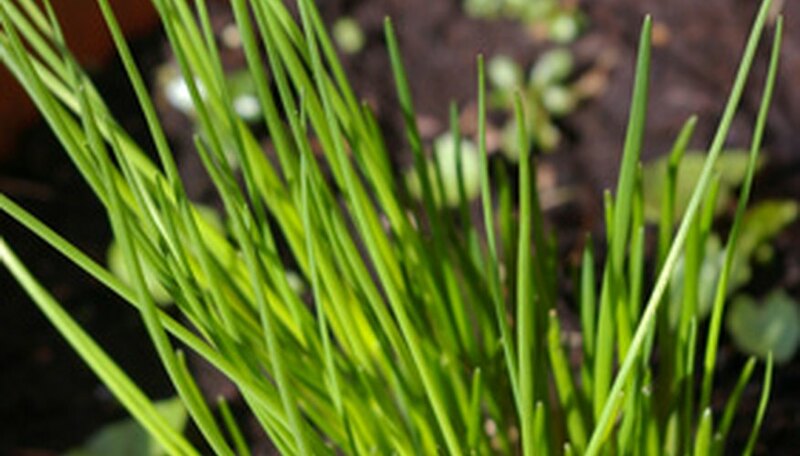 Some herbs need a cold period to come back, like chives, mint and tarragon. A single variety of herb can be put in a pot but placing several different types in one pot makes for a beautiful display. 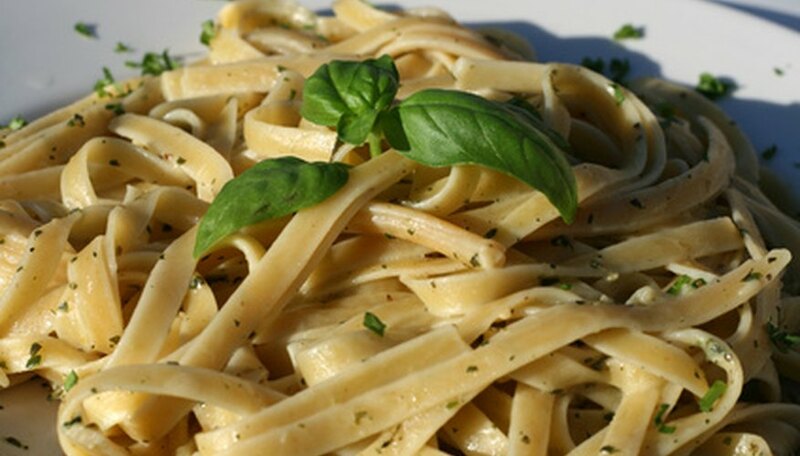 Put a taller plant such as rosemary, lavender or chives in the center of the pot and surround it with parsley or savory. Tarragon and thyme can go on the edge because it will droop down over the edges of the pot and grow down the side. Growing herbs by seed is a long and arduous process and some do not even propagate by seed. Purchase plants to put in pots. Mint is invasive so only plant mint in a container or it will strangle everything else out. Can I Plant Rosemary & Basil Together?